Now this news is unlikely to shock many but GG and I don’t mind the occasional glass of wine. 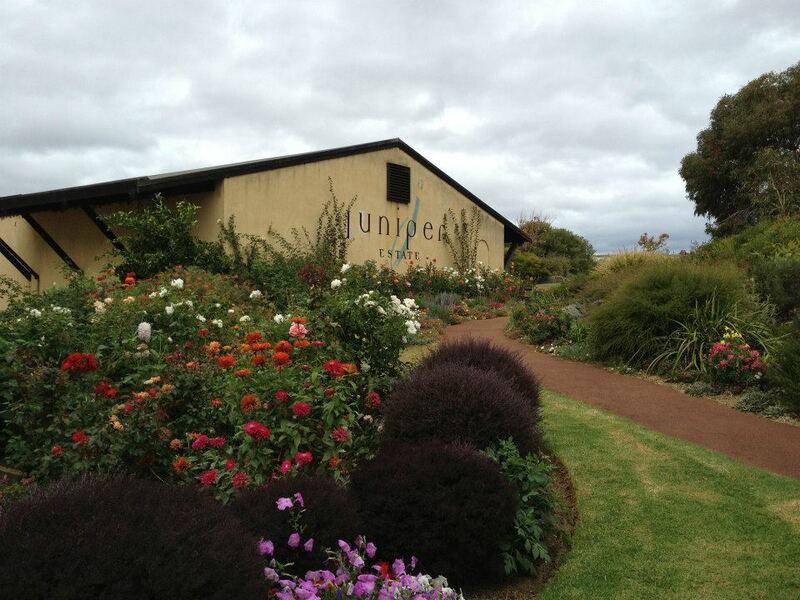 And given we were spending quality time in a premium WA regiong we thought it best to book in a tour so that we could enjoy the experience of numerous different tastings together. 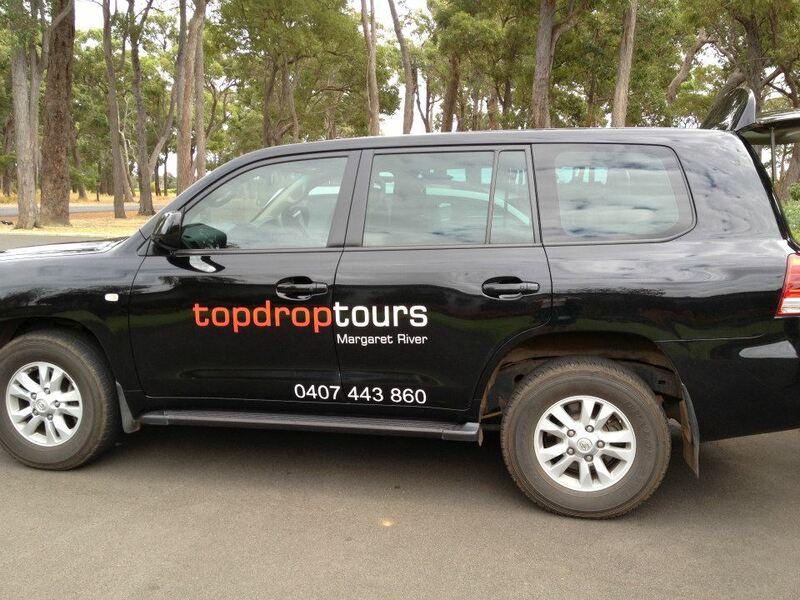 So having put it out to the Twittersphere, several people told me they’d really enjoyed the experience of touring with Top Drop Tours. So what did the tour entail? Sounded ideal! And on confirming that they did do pick ups from Smith’s Beach we were all booked in for the Saturday. Couldn’t wait. 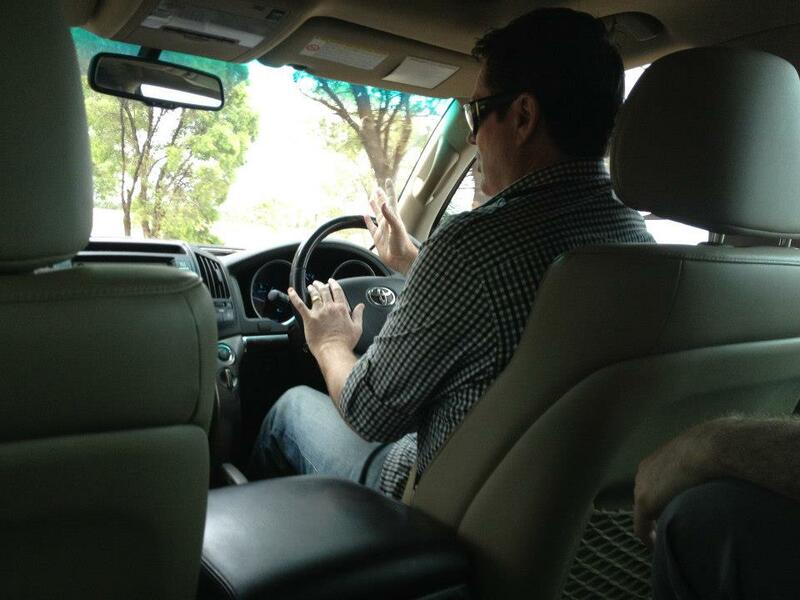 And what a luxurious car rocked up right on 10.30am to pick us up! 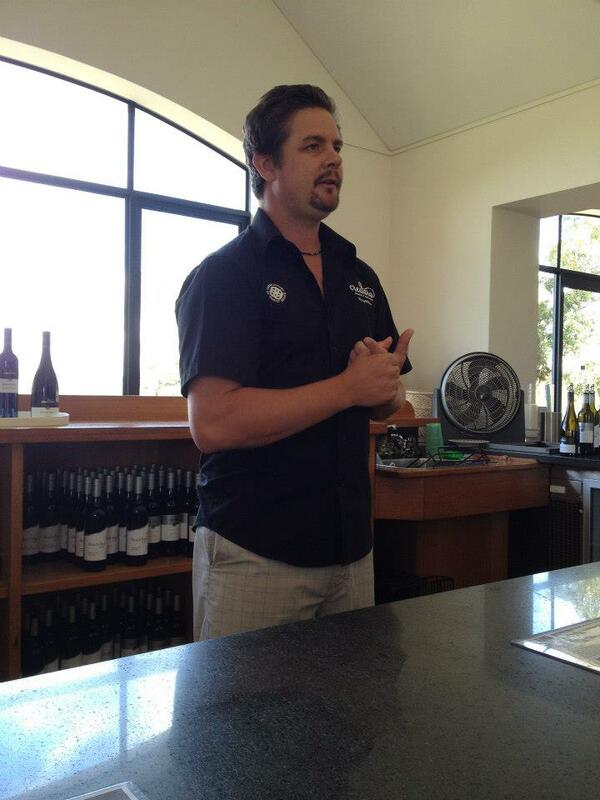 Chris outlined how he liked to tailor the tours to those that were in each group, ensuring that if there was someone who liked a particular type of wine that he included a winery with that varietal. GG and I were pretty easy. While I have a preference for white and him for red, when it came to tastings we were both happy to give anything a go. So our first stop was Windows Estate. 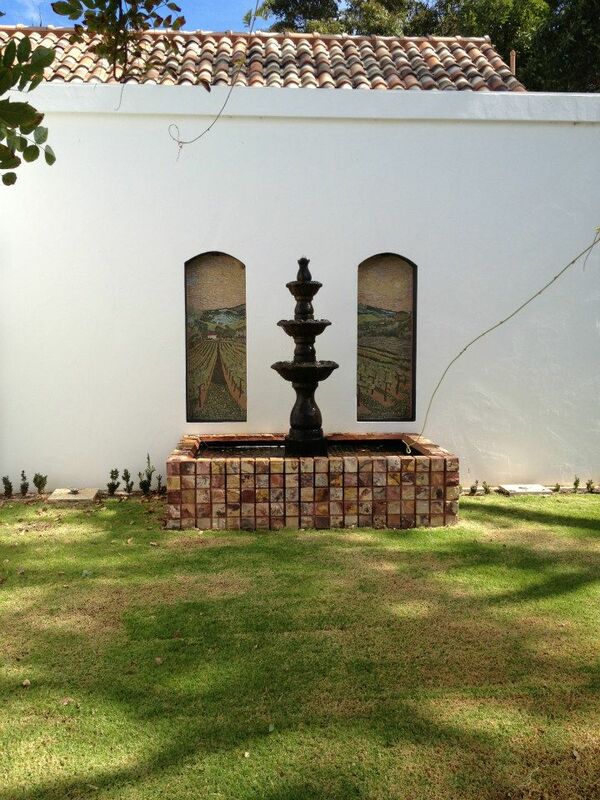 I couldn’t recall trying their wines before so was keen to be trying something new. It was quite delightful to start proceedings with something bubbly and I was very fond of the 2011 Mousseux. They had some beautiful wines and Kerry was so helpful in explaining them all to us and also teaching us how to scissor hold the glass, just like the professional wine tasters 🙂 Special mention has to go to their amazing 2012 Chardonnay, must order a bottle or two of this choice drop! We had thoroughly enjoyed our first stop and look forward to visiting in the future when their new dam will have filled itself up. Really beautiful spot. 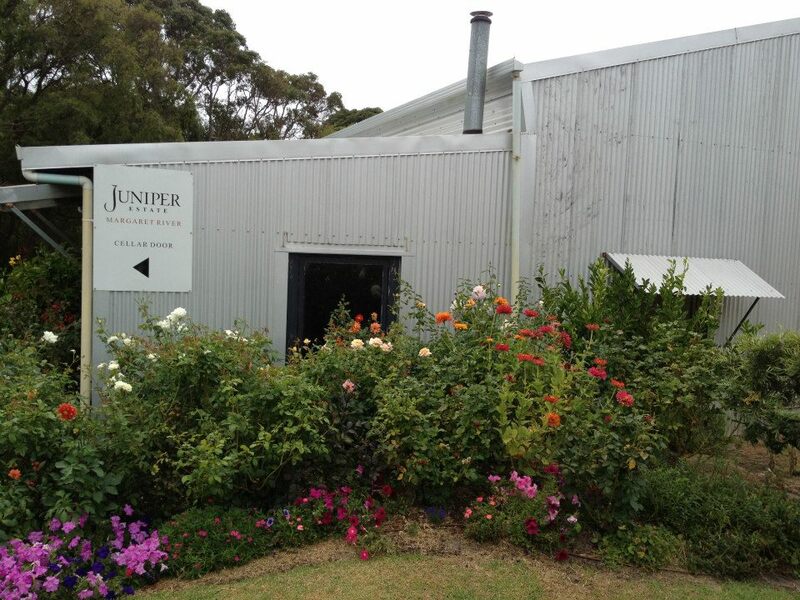 From there we headed to a winery I had sampled many moons ago – Juniper Estate. Such a pretty spot, with the garden just a floral explosion! And then we met Peter. What a delightful fellow! In his dulcet tones he talked us through the extensive Juniper wine list and the part I really enjoyed was that he outlined which foods each of the wines would be well matched to. All very lovely and right up GG’s alley as they had an impressive range of reds on offer. 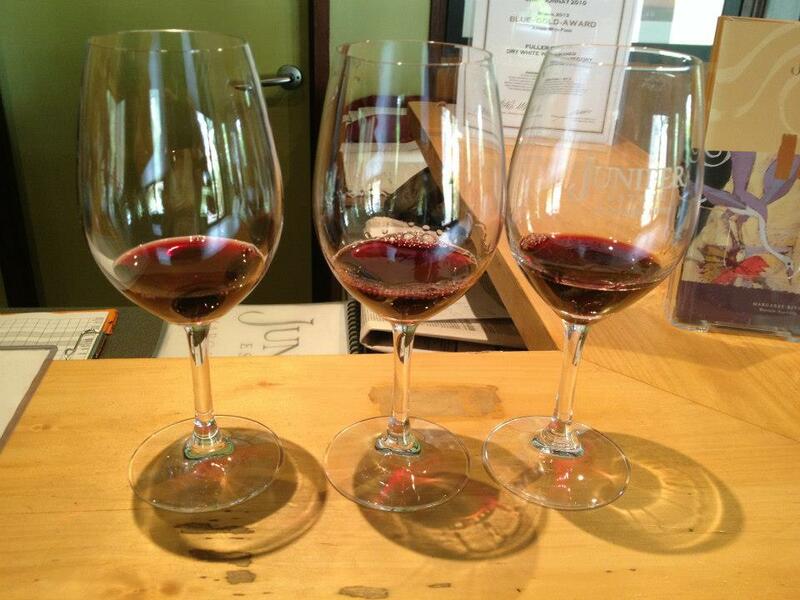 It was also a plus to be able to compare different vintages of the same type of grape. 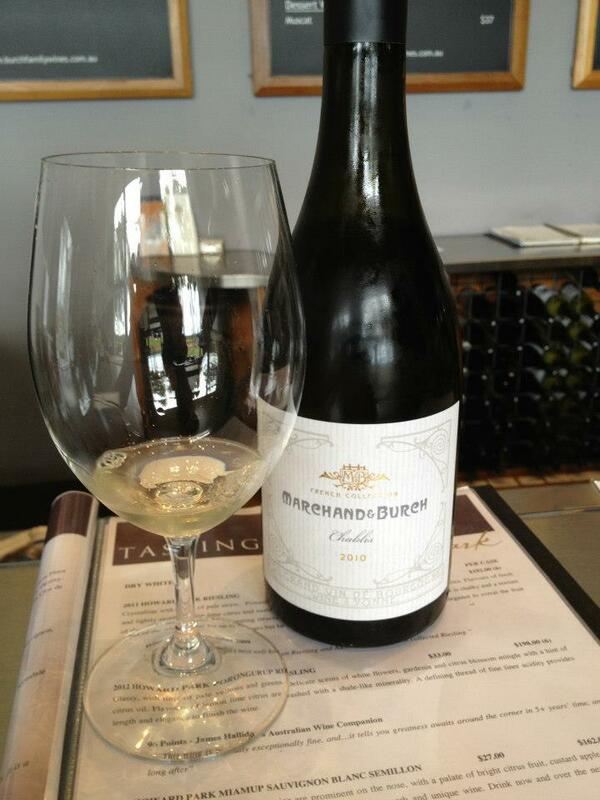 I’m not much of a wine buff, but I did like being able to detect some subtle nuances between the different glasses. 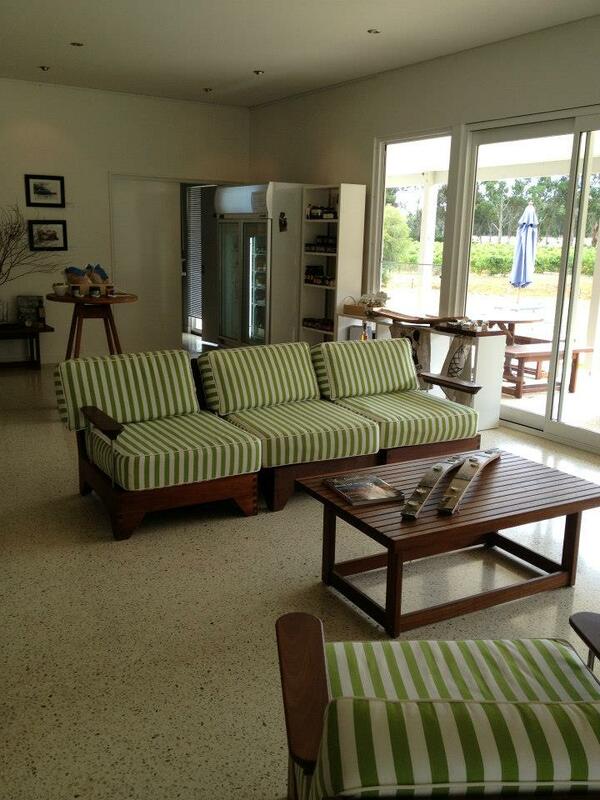 A really lovely winery and GG left with a choice bottle of Shiraz so he was a happy fellow. 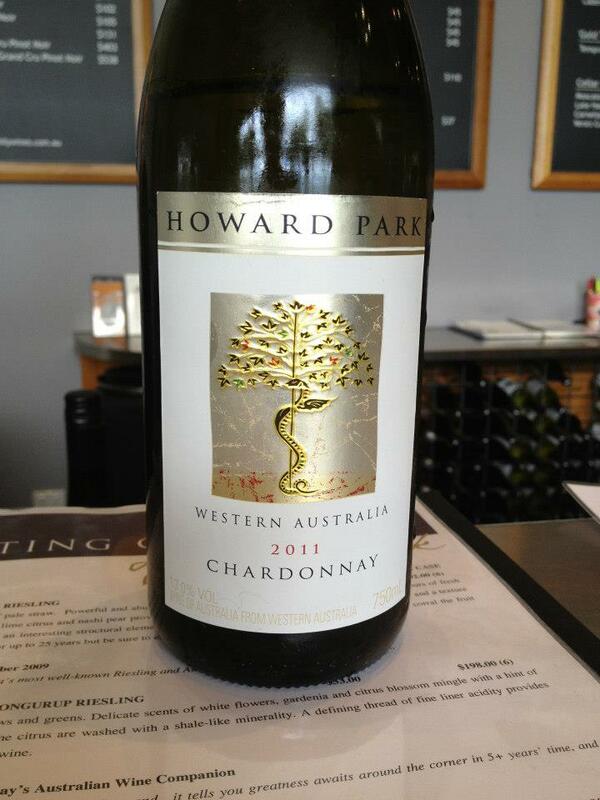 Now we had mentioned to Chris that we enjoyed Riesling so ever the obliging host, he arranged that our next stop was to be Howard Park. 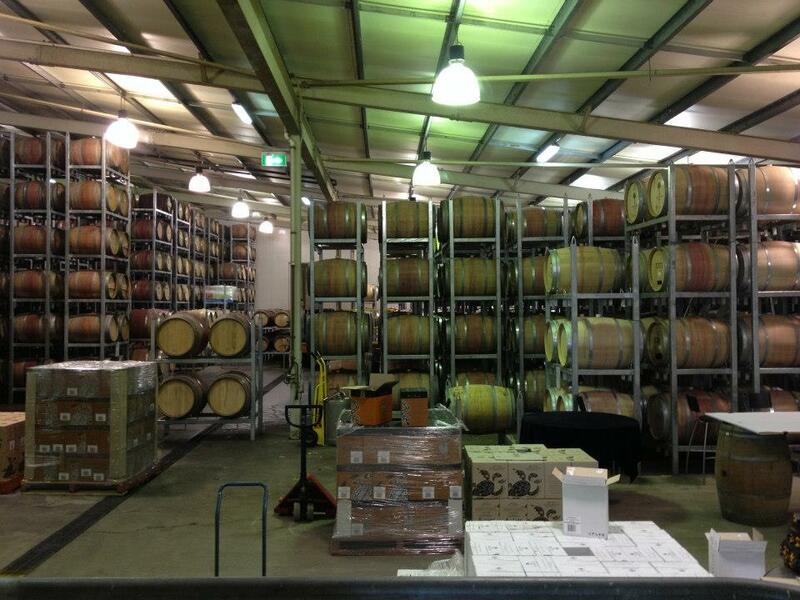 They have a glass door into their barrel area – will you look at all that wine! The beauty of Howard Park is that they have several labels under their banner – Mad Fish, Howard Park and Marchand & Burch. Now, not only do they have some impressive Riesling but also some entirely divine Chardonnays or Chablis under their french label. We bought a few bottles at this stop, including one of the Marchand & Burch Chablis for an as yet to be chosen special occasion, but I know we’ll find one 🙂 It’s an impressive cellar door and Rachael who had talked us through their wines had been lovely. 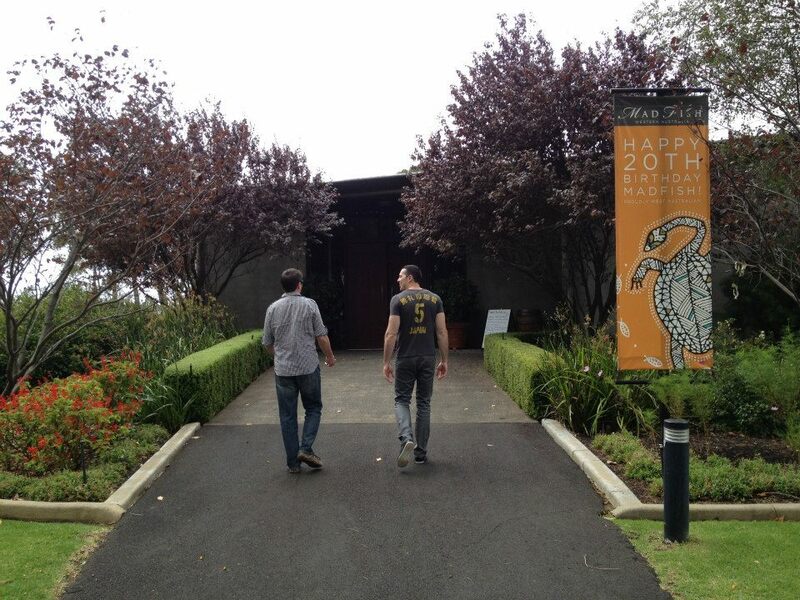 Now it was definitely time for lunch after what had been an ambitious intinerary of morning tastings. 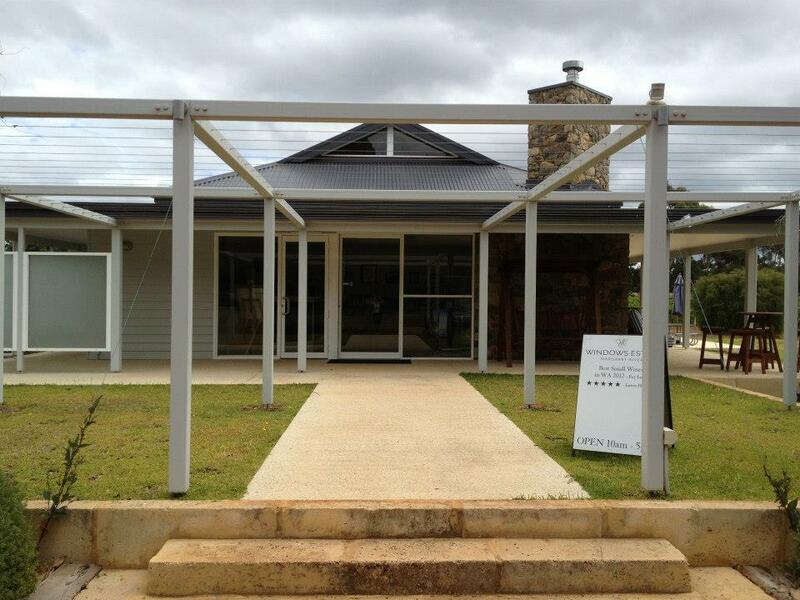 I was looking forward to visiting Hay Shed Hills for our lunch as I’d heard great things about their food. 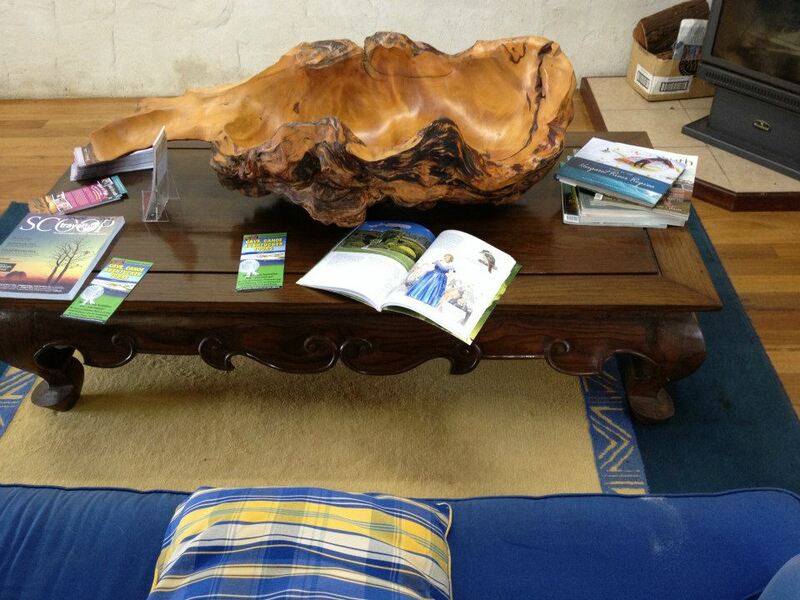 So we were dropped off at the door and shown to a specially assigned Top Drop Tours table. 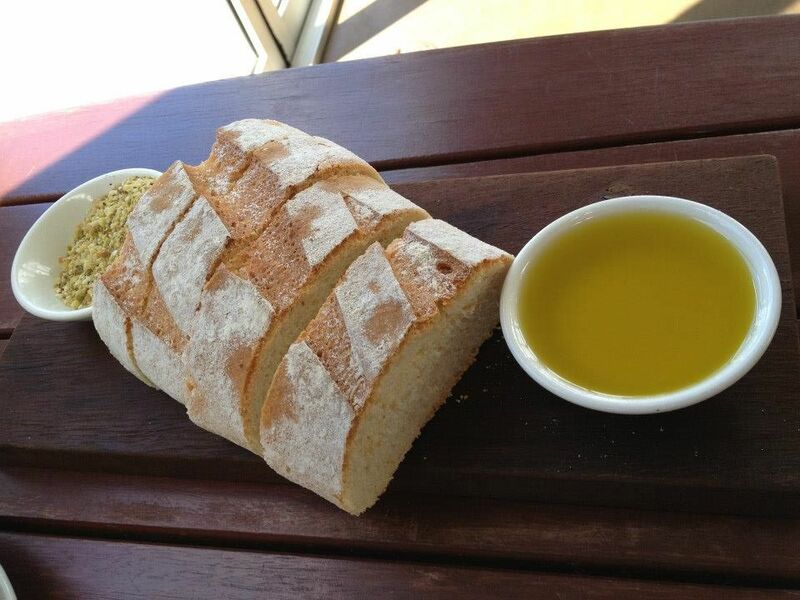 We started with some fabulous, fresh sourdough bread and some olive oil and dukkah. 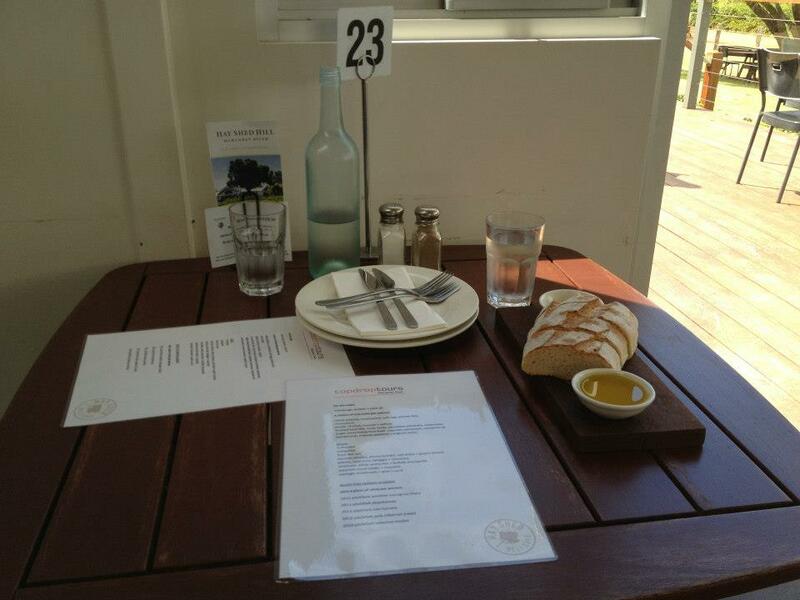 How good is dukkah! Always packing a punch on the flavour front. We were shown a menu especially for us and were told we could choose a dish each. 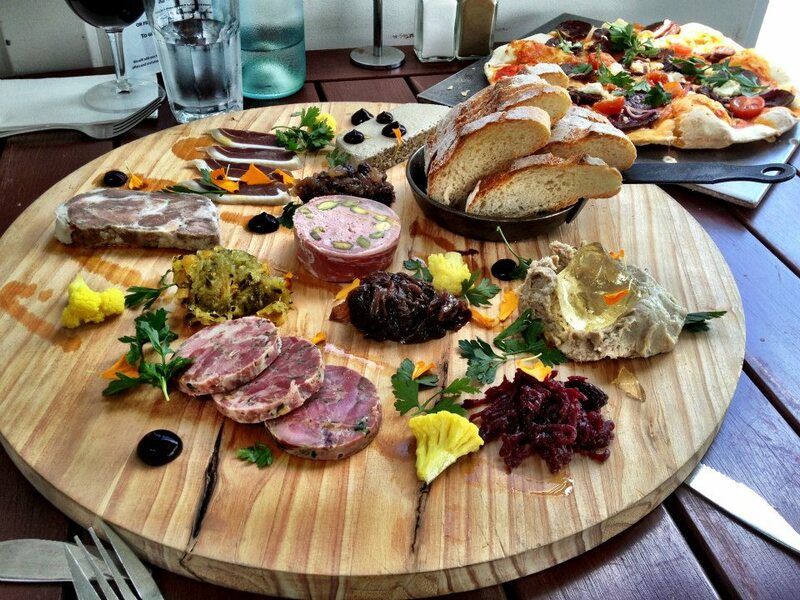 I asked the friendly waiter what he would choose and he spoke highly of the charcuterie board. So we took his advice and ordered one of those and also one of the chorizo (which on our visit was buffalo), tomato, red onion and goat’s cheese pizzas. Our food really didn’t take too long to arrive and to say we were impressed with the amazing charcuterie board that arrived would be an understatement. It was seriously sensational and presented beautifully! 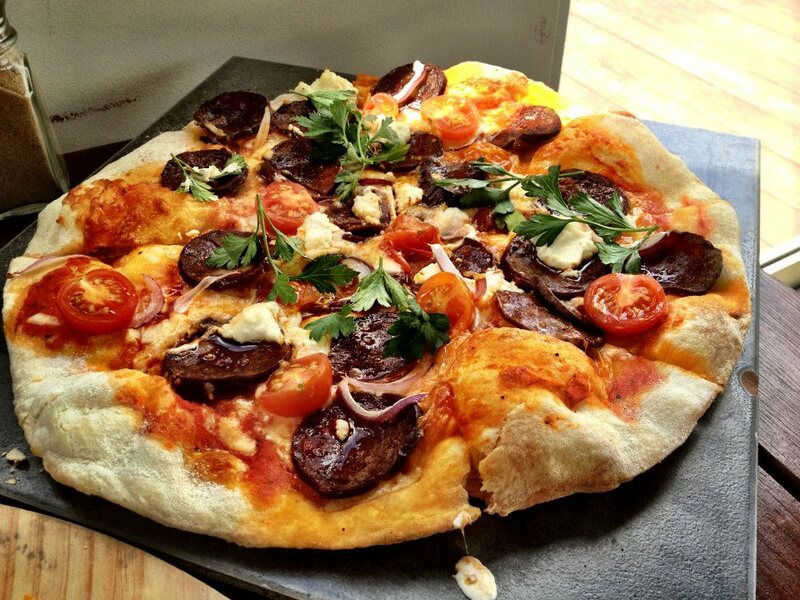 And I am a long time pizza appreciator and this one was a winner. Never had buffalo chorizo before but am definitely a fan. The base was nice and crispy and it wasn’t drowning in either tomato sauce or cheese. A nice balance of the ingredients they had chosen. Especially that chorizo!! So yum! Both the pizza and the charcuterie had been very impressive and has me concurring with others thoughts that Hay Shed Hills were kicking goals with their food. Yum. We rounded out our visit with a quick game of totem tennis, which in my mind I was awesome at, but my actual playing skills suggested otherwise. Our next winery stop presented further opportunities for me to hone my totem tennis skills in one of the most stunning arenas I could have imagined. And we were introduced to Credaro Wines – The Credaro family first settled in Margaret River in 1922 as a pioneering family to the region, after migrating from Northern Italy. Again, some very interesting wines and I did enjoy those that I sampled, but on this stop I opted for GG to partake in the reds solo as the previous tastings of the day were fast catching up with me. It was a beautiful cellar door and with another red in tow, I believe it was the Credaro Cabernet Sauvignon 2009, the birthday boy left happy. 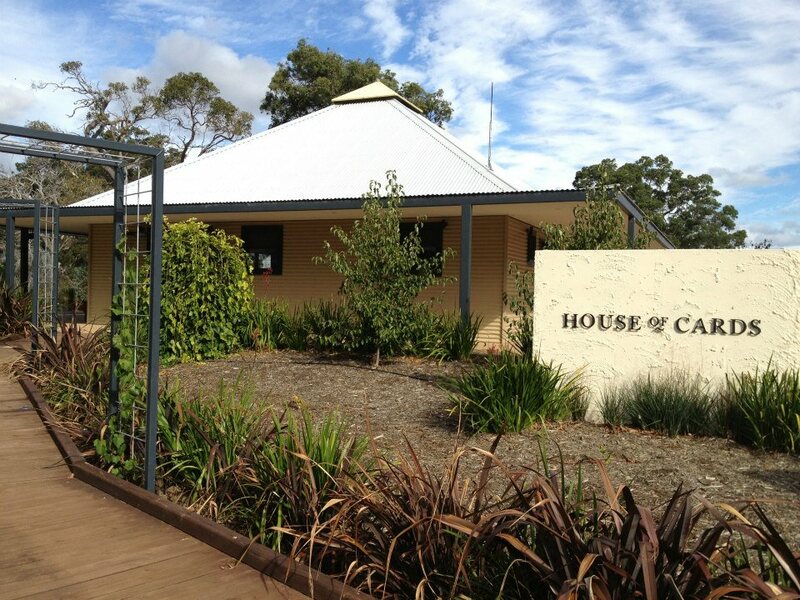 Keeping with the theme of trying new things our next spot was to Cape Naturaliste Wines. 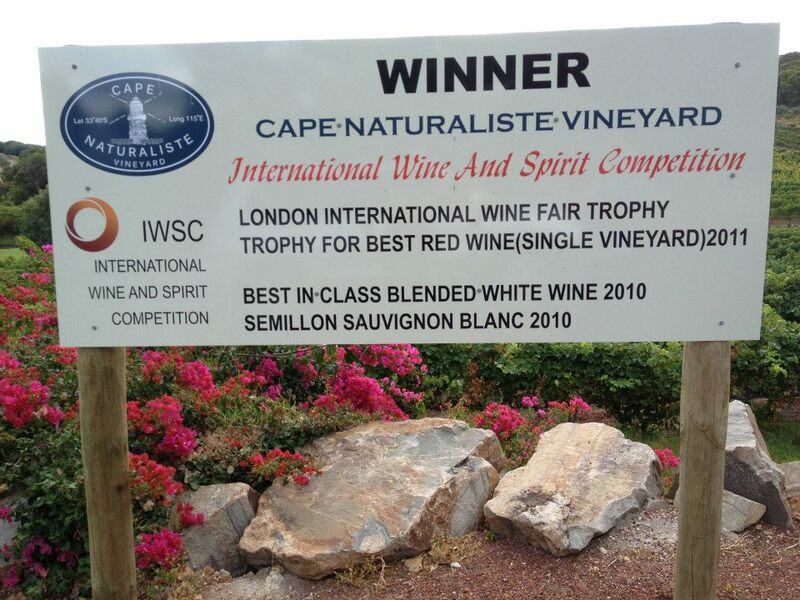 As we learnt from Chris, this winery was the winner of a fairly prestigious international award so we were grateful for the chance to try their wines. So a nice range of whites and reds available here, but I’ll admit that I was close to my limit of vino tastings after the very generous array we had sampled earlier in the day. So again at this winery I stuck with whites. Our final stop was on the way back towards Smith’s Beach and was the relatively new addition of Gabriel Chocolate, I’d previously tried Gabriel Chocolate in one of the Urban Locavore boxes. The variety I had tried was decadently dark, the sort that was well matched with a bold red. 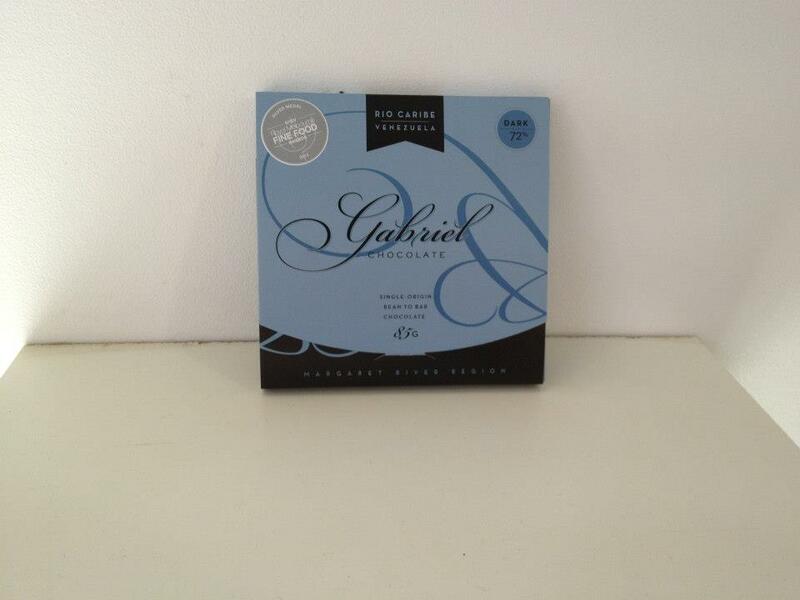 So great to see the full range of Gabriel Chocolate available here, along with some very tempting sounding chocolate ice-creams. I was feeling more than comfortable on the indulgence front, so resisted the temptation to stock up on something sweet. 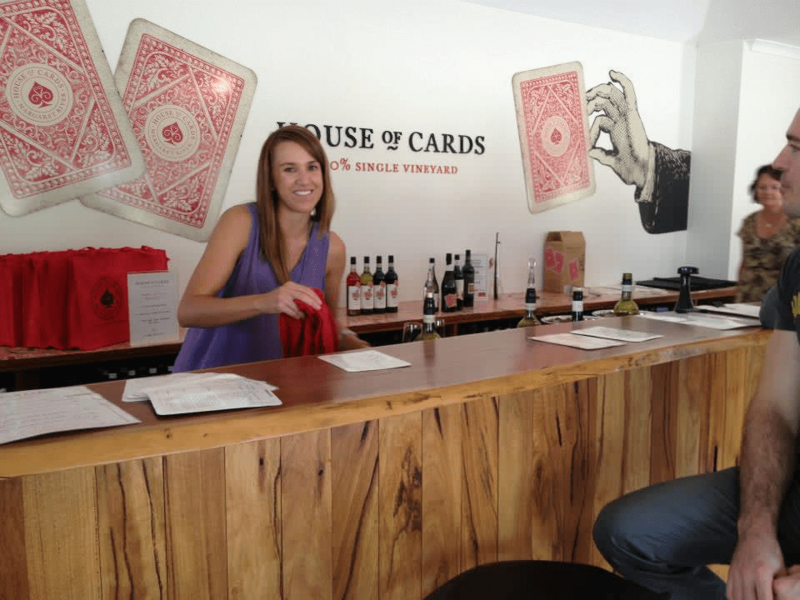 And just across the way in the same complex was House of Cards, another winery I had not previously heard off, but I can vouch for a very pleasing sparkling that they had! After a very helpful explanation of the available wines, again GG found a bottle that he enjoyed, 2011 King Cabernet Sauvignon, and our touring was complete. I had half expected us to fall asleep on the drive back to Smith’s Beach but thankfully it was only a short journey and we made it back before drifting off. What a brilliant day it had been! 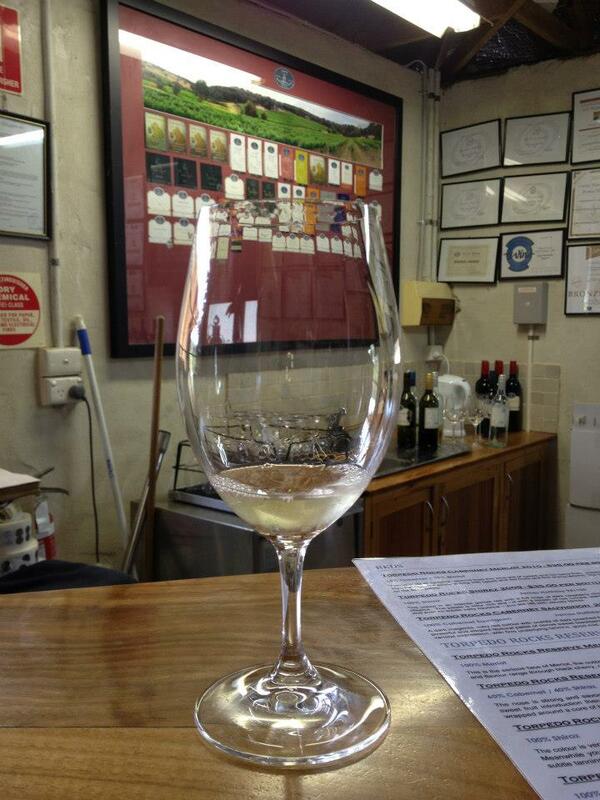 An excellent opportunity to visit wineries we hadn’t previously heard of, in the expert company of our guide. 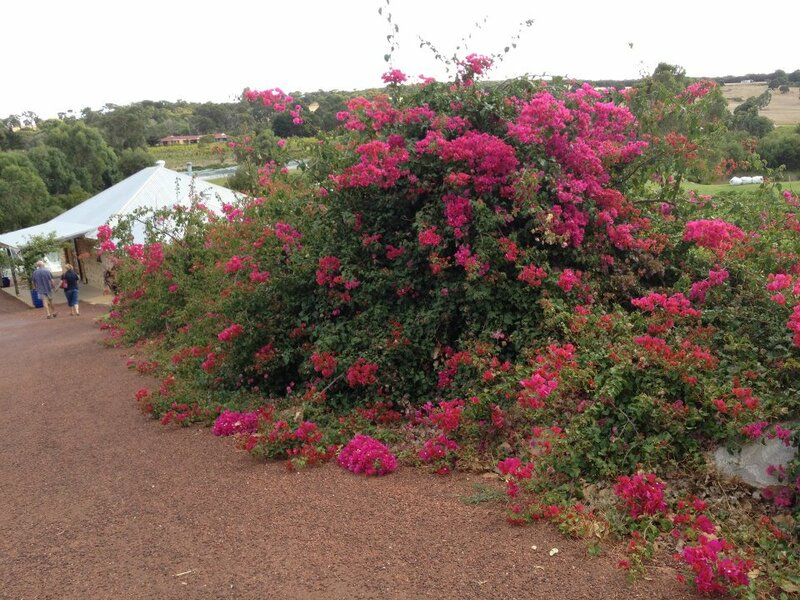 The luxurious transport and tailored nature of the tour really rounded out the experience and I would not hesitate to recommend that you lock in a Top Drop Tour on your next visit to the South West. It’s the perfect way to spend some quality time enjoying the region’s best features.